Have you been keeping an eye on the Spellbinders blog? Because, dude. There are lots of new dies coming out and they are FABULOUS!!! I used the new Chevron border die for this card, and, umm... I super duper love it. Like, lots. For reals, though. Super. duper. lots. 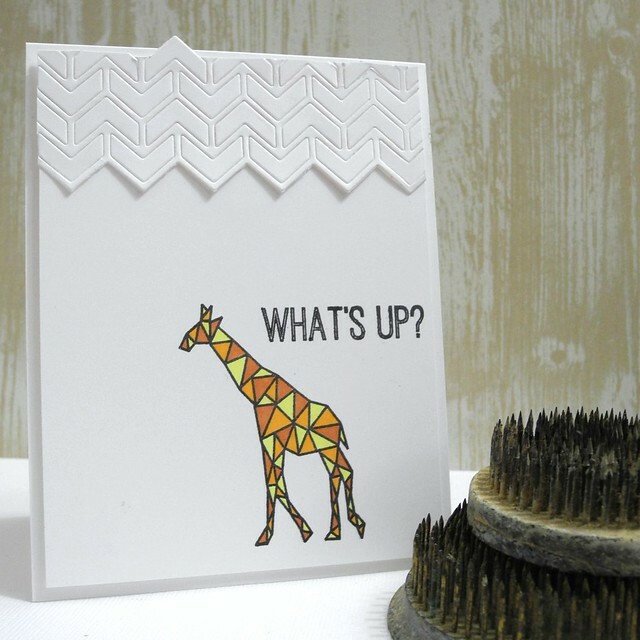 I kept it simple with a fabulous line image giraffe from Altenew and a super cute punny sentiment. LOVE THAT! I colored the triangles with Spectrum Noir pens, but kept the colors fairly flat and simple since the pattern was doing all the work. In other news, I have a *couple* of mystery boxes left! They have been selling, so I only have a couple more! See yesterday's post for more info! Ok yes / that die looks awesome!! So cool!! Looooooving the white on white!! And that giraffe image - LOOOOOVE! I've been eyeing that set for a while! Love it!! Brilliant design, very clever! Love the stamp! Beautiful card! Lve the new border die and with the giraffe.. pure perfection! 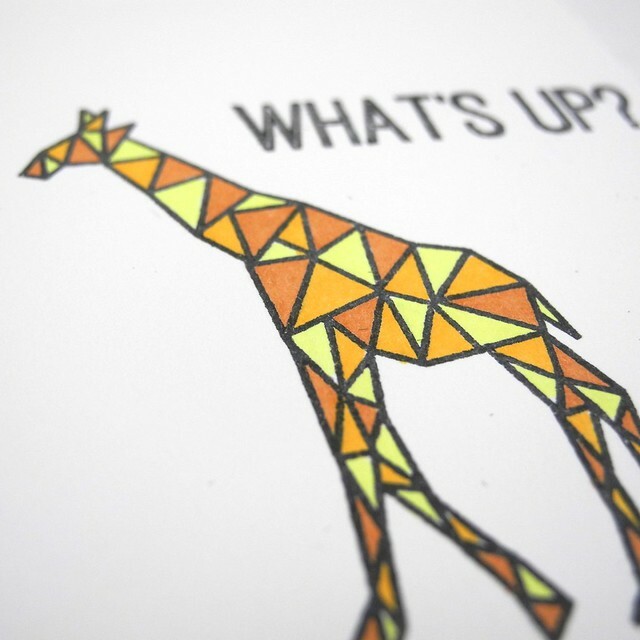 Love that giraffe and I love that you popped up one of those chevrons! aww how cute.. love how you used that die..
Great card! The triangle border is perfect with this giraffe!!! TFS! And for anyone on the fence about the stash boxes - do it while they last! I got mine and it's amazing! It'll take me days to sort through all the goodness inside!! !